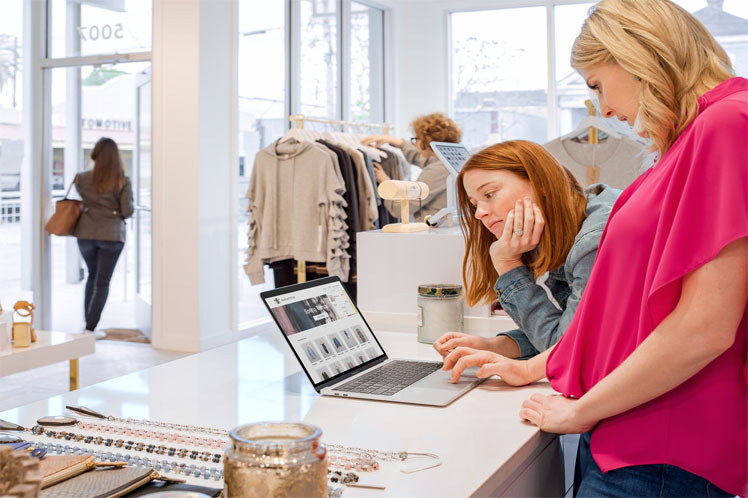 To run a successful retail business, you have to stay nimble, keep up with advancements in technology, and make sure you’re in tune with customers. Change is the only constant, but businesses that can adapt and innovate are likely to thrive in this competitive environment. With that in mind, let’s take a look at 2019’s top retail trends, and get ready to start strategizing for the year ahead. For a long time, many saw the future of retail as a battle between online and brick-and-mortar sales. The problem? It doesn’t reflect the way people want to shop. A consumer might start their search online — to compare prices — and then check out the item in person before purchasing. That’s why a multichannel approach is becoming a key strategy for retailers. By offering customers the option to browse online and buy in-store, retailers have an advantage over businesses that are only online or brick-and-mortar stores. Social media networks like Instagram and Snapchat are a source of inspiration for street style mavens, fashion bloggers, lifestyle experts, and other types of influencer. So it makes sense that these platforms are now offering eCommerce capabilities like shoppable tags. While shopping on social might not be very popular yet, that might change as sites let users load their credit card information on the platform. Track sales, inventory and more. Pop-ups — from clothing stores to fitness experiences — have become a way to generate buzz and build brand awareness. But they’re often solo enterprises. That is changing as large retailers host in-store pop-ups of in-demand, digital-native brands, like Allbirds, Koala and Goop. These collaborations have the potential to be a boon for both the established retailers and the younger brands. The big retailers benefit from having a buzzy brand onsite, and the upstarts are exposed to a larger, more diverse customer base. eCommerce has made more brands and more products accessible to more people than ever before. If everyone can get everything, it’s only natural that some people will seek out products, places, and experiences that feel unique. Major brands like Sephora and Nordstrom have responded to this need for personalization with new concept stores, while other retailers are offering product customization. For example, Levi’s offers online and in-store personalization like embroidery as well as made-to-order jeans. And New Balance lets customers design their own NB1 shoes — even with Swarovski crystals. Millennials, more so than Gen Xers and baby boomers, want to feel good about the products as well as the company behind them. Brands like TOMS, Warby Parker, and State Bags donate products and services to communities in need on both a local and global scale. This makes shoppers feel like they’re supporting an enterprise that cares about the greater good. For small businesses especially, looking out for your neighbors is always something you can be proud of.